Luscious papers, 100% Cotton and tree free papers, over 200 years of craftsmanship results in the Crane & Co. Stationery. 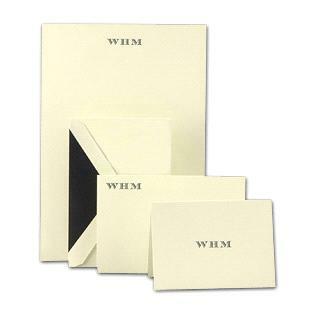 Located in Dalton, Massachusetts, this paper producer of fine stationery has the most beautiful Personal Stationery, Personal Correspondence & Calling Cards. Crane and Co. uses Premium papers, hand engraving and custom monograms to accent and personalize their stationery products. Printing styles from Crane & CO. for Personal Stationery are Lustrous Metalic Engraving, Digital Printing, and flat printing. 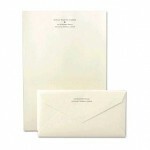 Stationery selections include Pearl White Envelopes, Pearl White Sheets and Pearl White note cards. Customized Calling cards are a personable way to pass on contact information at social functions. No need to write on a piece of paper or napkin and look for a pen, simply passing on your card. 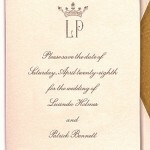 Plus it doesn’t have to be formal or business like when you give out a calling card. It’s less formal yet informative at the same time. Crane & Co. produces the following types of styles: Espresso Calling Cards, Ecru White Lettra Calling Cards, Flame Red, Round Cornered, Willow and more styles are available in our store. To see Crane Business Stationery see our Business Stationery Category.